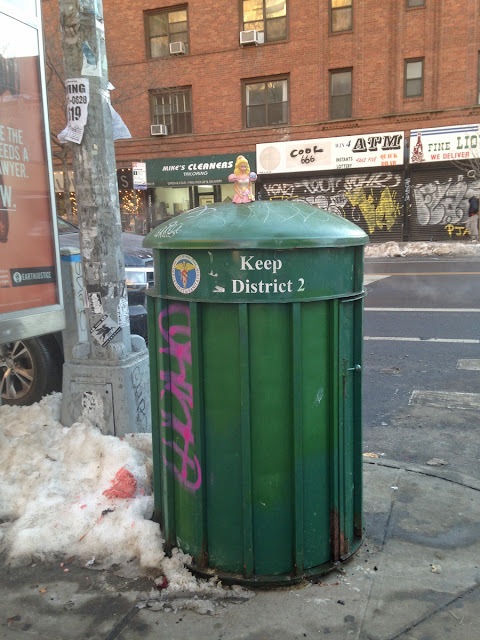 Walking around the East Village, you are likely to see many art projects: some recognizable as such, others not. Barbie On A Trash Can. 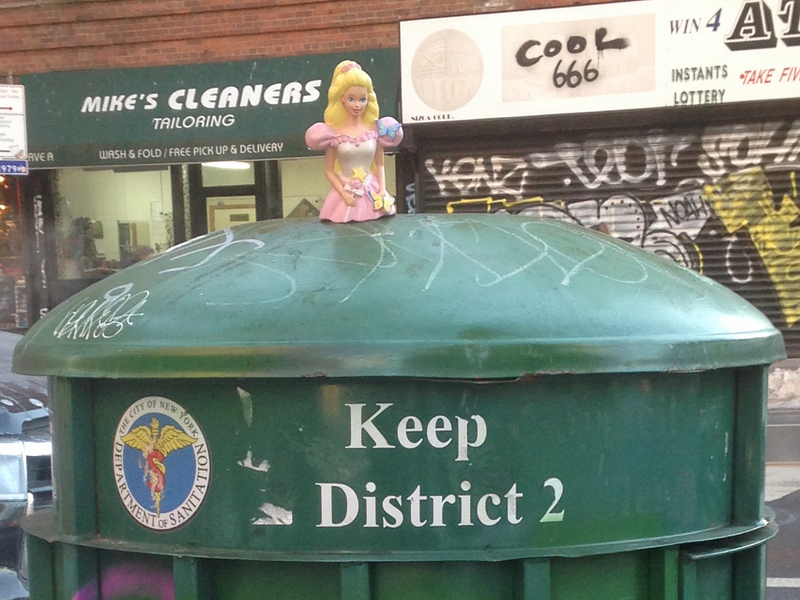 It's nice to see Barbie involved in the effort to keep District 2!